DOMESTIC: $12, includes postage to USA. FOREIGN: $14, includes foreign postage. DOMESTIC: $10, includes postage to USA. OVERSEAS: $12, includes postage everywhere else. 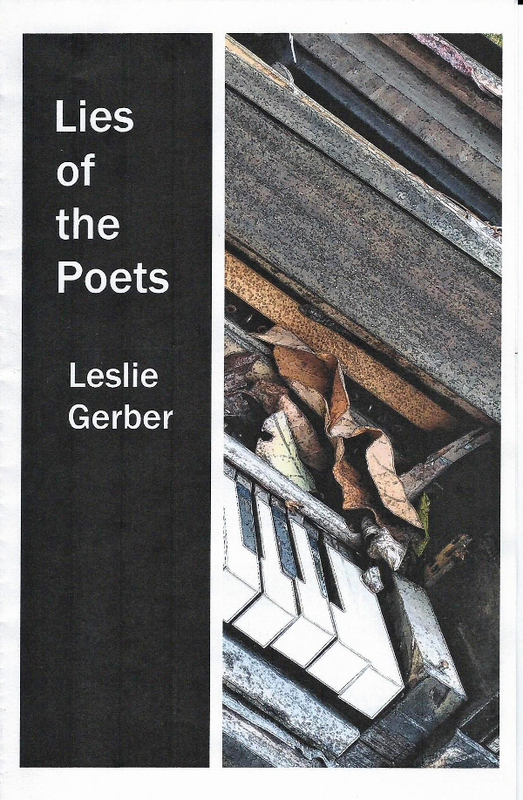 “Lies of the Poets” comes from 15 years of writing poetry. Publisher and poet Dayl Wise (Post Traumatic Press) had invited me to submit a chapbook when I felt I was ready for one. After taking a workshop with Billy Collins, who contributed a blurb, and a manuscript workshop at the Woodstock Mayapple Writers’ Retreat, I felt I was ready to go. 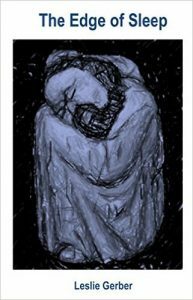 The book includes all my previously-published poems from magazines and a careful selection of other work. 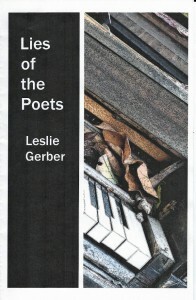 I selected “Lies of the Poets” as the title because it was the one Collins wrote about, and because I liked the title. All the bones collapse at last. while we were rushing so. I was born in Brooklyn in 1943 and graduated from Brooklyn College with a useless degree in Creative Writing. After spending five years as a book cataloguer, I moved to Ulster County, Upstate New York, in 1970, and started Parnassus Records, which published classical LPs and later CDs and and sold used and rare classical LP vinyl recordings and CDs by mail order. The CD publishing business is still in existence, but the mail order business closed at the end of September, 2008. Along with my record dealing activities, I have long been active in writing music reviews and articles and in classical music radio. I started reviewing records for The American Record Guide in 1964, and then wrote for Fanfare for more than 25 years. I reviewed well over 1500 classical CDs for Amazon. Currently, I am writing reviews and a regular column for Classic Record Collector, and for the Woodstock Times, for which I have written since shortly after it started publication in the early 1970s. I also wrote and narrated reviews for NPR’s “Performance Today” for 2 Â½ years, until the program discontinued all reviews. Examples of these reviews appear on this website. 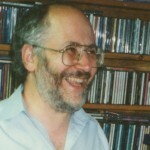 I was “Classical Music Director” of WDST-FM, in Woodstock, New York, from its beginning in 1980 until 1991. During that time I was privileged to interview such musicians as Aaron Copland, Virgil Thomson, George Walker, Ivan Moravec, Janos Starker, and Sharon Robinson (an interview which took place in a bedroom!). From 1999 to 2002 I produced the series “The Grand Piano” for WMHT-FM in Schenectady, New York. The series was later repeated over KBPS-FM in Portland, Oregon. Examples from that series are posted here on the Podcast page. I have also written program notes for many years. During the LP era I wrote more than 60 liner notes for CBS (now Sony) Classics, along with a few for RCA and other labels including my own. I have written CD program notes for RCA, Weitblick (Japan), and Arabesque, and also for my own Parnassus label. Examples of these program notes are found on this website. I am also the program note annotator for the Hudson Valley Philharmonic, for which I gave pre-concert talks until the orchestra hired a very articulate music director (Randall Craig Fleisher). During the past decade I have been writing poetry and have had a few publications and local readings. Examples of that work, along with a couple of rather antique short stories, will be found in the Creative Writing page. I now live in Woodstock, New York, with my companion of nearly 25 years, Tara McCarthy, herself a successful and prolific writer of educational materials. (She also wrote, under the name Agnes McCarthy, the much-loved children’s book “Room 10.”) We enjoy the company of our dogs Tony (named for Antonin Dvořák) and Fluffy (not named by us! ).